I am sitting in front of the TV watching as the airwaves and the social media stream get taken over with the Facebook mania. 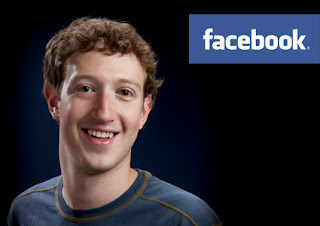 The Facebook IPO has turned out to be the biggest media event today May 18, 2012. I am watching Bloomberg TV now and the presenters are all Facebook as they wait for FB to start trading on NASDAQ. The pre-trading banter from the presenters are full of speculation on what the FB price will open at. A $70 price was mentioned based on the report that a trader in France was getting demand from retail investors that were ready to buy at that price. On retail stocks trading platforms like Markets.com, FB quoted prices rose above $100 per share. The touch of drama and tension were further intensified by delays experienced by NASDAQ in opening trade on the FB stock. At 16.15 pm (London Time) Bloomberg announced that NASDAQ was experiencing delays in opening trade on FB stock. This delay resulted in a fall in NASDAQ share price and added to the tension of investors waiting for FB stock to start trading. The news was that the opening trading volume of about 72 million was what was stalling opening the trade on the FB shares. Bloomberg also announced that NASDAQ said the massive demand was coming from retail investors. Meanwhile, an analyst is speaking on Bloomberg TV on the FB stock and says that he gets sceptical when he hears of “frenzy” and “mania”, and advises that investors should be cautious. Another analyst says he can justify a price target of $70 and price of $10 for FB based on the inputs into the forecast data. Basically, saying optimistic forecasts about FB share price should be taken with a pinch of salt. Another notes that there was a lot of insider selling which should be of concern. An analyst speaking on Bloomberg TV says FB has made fantastic hires which can help it drive its business. That fact was not just driving stocks right now. At 16.44 pm Bloomberg announced that the share prices of technology stocks like Zynga, Linkedln, Groupon and the major underwriters of FB shares are also falling. At 16.51 FB flirts with $37.96 dropping below the IPO offer price for the first time. In the opening few minutes, FB never neared the optimistic price of $70 per share. Rather, it has settled below its opening price. Would it ever go near the $70 price?